Faith is the source of the Way, the mother of merit and virute; it nourishes all good dharmas. 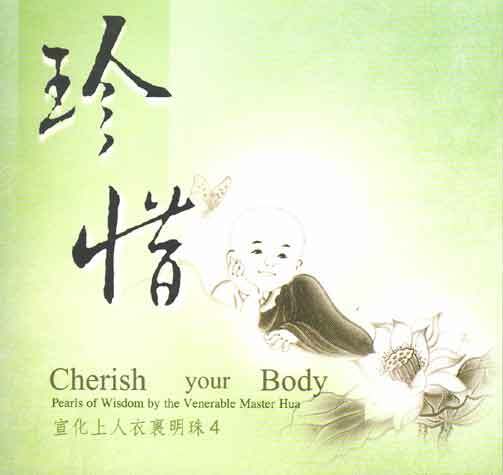 Part 4 continues with alternating prose and verse sections describing the realizations of the remaining 15 kinds of spirits as well as their praises of the Buddha. 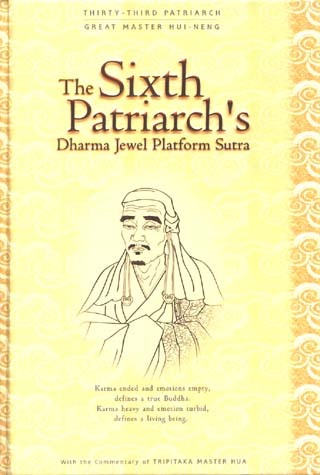 Part 5 continues with alternating prose and verse sections describing the realizations of Universal Worthy Bodhisattva and twenty other Bodhisattvas. 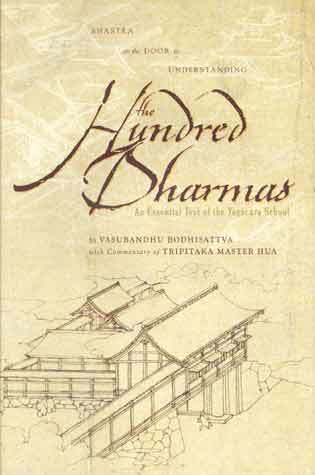 It then tells how multitudes of Bodhisattvas issue forth from the lion throne, make offerings, and speak verses in praise of the Buddha. 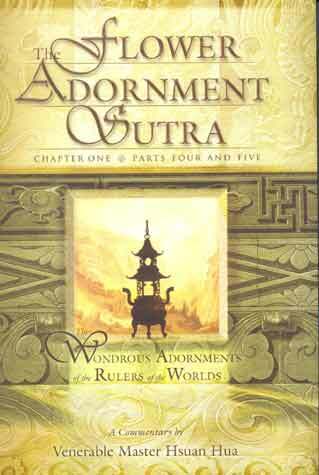 The chapter concludes with a display of auspicious portents and reveals that this situation is universal and infinite. 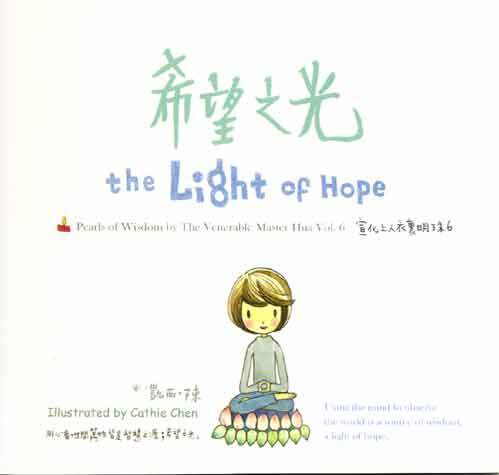 We have the illustrated MEDITATION (book) in stock. Only a few copies of THE CHAN HANDBOOK (book & CD) are left. 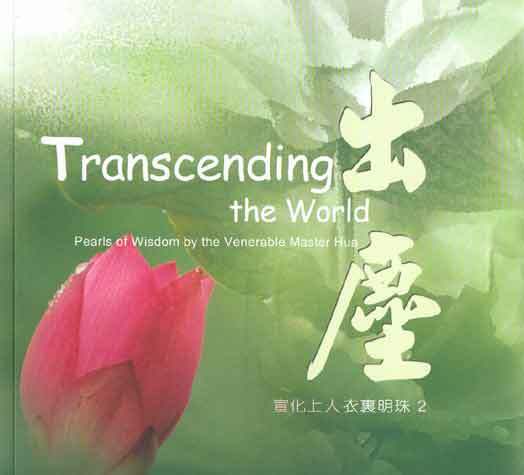 One of the foremost scriptures of Ch'an Buddhism, this text describes the life and teachings of the remarkable Patriarch of the T'ang Dynasty, Great Master Hui Neng, who, though unable to read or write, was enlightened to the true nature of all things. 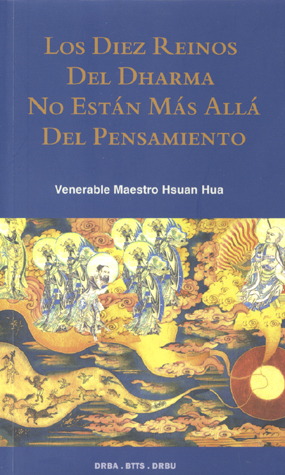 An essential text of the Yogacara School by Vasubandu Bodhisattva with Commentary of Venerable Master Hsuan Hua. When you are peaceful and happy, you will influcence the people around you to feel peaceful and happy, too. When everyone lives in harmony, the world will no longer have wars. Where does true wisdom come from? It comes from a pure heart. 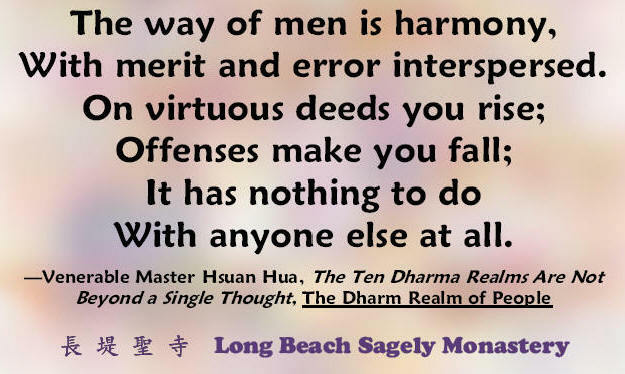 Quotes from the teaching of Venerable Master Hsuan Hua in Vietnamese. 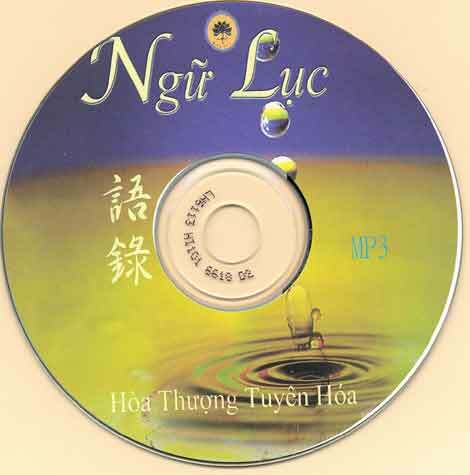 We have an extensive collection of VIETNAMESE books for purchase and for free distribution. Please inquire at the Monastery about our latest selection of FREE books. 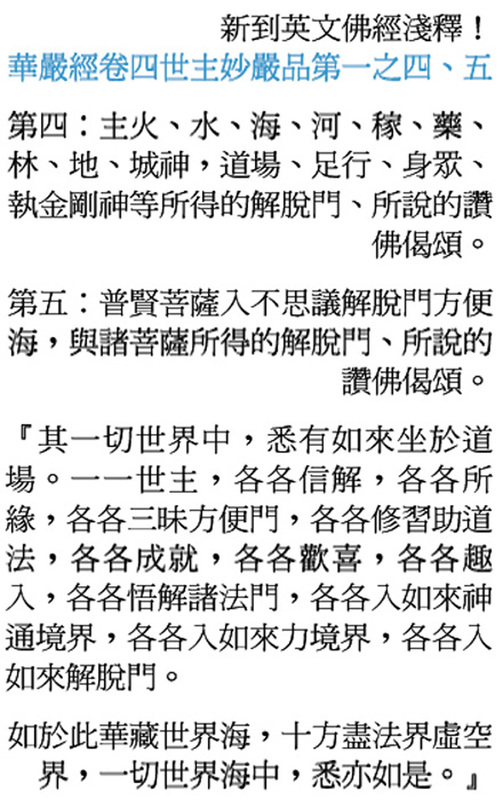 Free vegetarian cookbooks in Chinese. Tell a friend who reads Chinese. Copyright © 2001 Long Beach Sagely Monastery. All rights reserved.